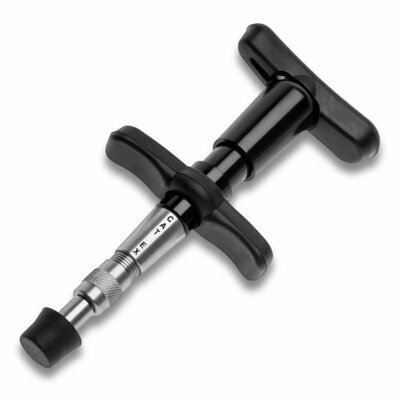 The CAT EX is designed for clinicians who require greater thrust than traditional adjusting tools. It is the perfect solution for clinicians trained in and performing Sacro Occipital Technique (SOT) adjusting. With our CAT accessories you can customize your CAT EX to your comfort and the needs of your clients. The CAT EX has an adjustable force range with a maximum rated output of 52 lbf. The CAT EX includes the CAT palm and finger pads (CT009) and CAT case (9AK114). The warranty on the CAT EX device is 12-months.